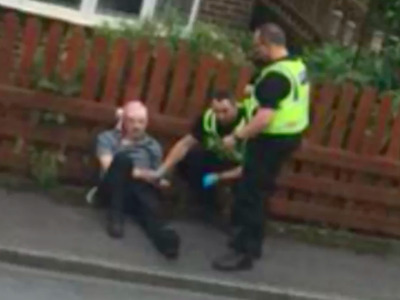 Sky NewsThomas Mair being arrested at the scene of Jo Cox’s murder. The Turner Diaries, according to the Southern Poverty Law Center. The Turner Diaries — a white supremacist fantasy novel about racial war in America — was widely traded on the far-right underground in the 1980s and 1990s. The book tells the story of a group of Aryan supremacists who violently overthrow an anti-racist Federal government in a fight against the Jewish-controlled “System.” The Turner Diaries went out of fashion on the right in the 2000s, especially after the Sept. 11 2001 attacks, as Americans came to regard terrorism with increasing disgust. The Turner Diaries have inspired many terrorist acts, including the Oklahoma City bombing in 1995 which killed 168 people. David Copeland, a British Neo-Nazi who killed three people in a 1999 bombing attack against black, Asian and gay communities, quoted from The Turner Diaries while being interviewed by police. In 1983, NA activist Robert Mathews formed a gang inspired by The Turner Diaries that robbed $4 million from armoured cars. Members of his NA-offshoot gang, called “The Order,” murdered the talk show host Alan Berg in Denver in 1984. 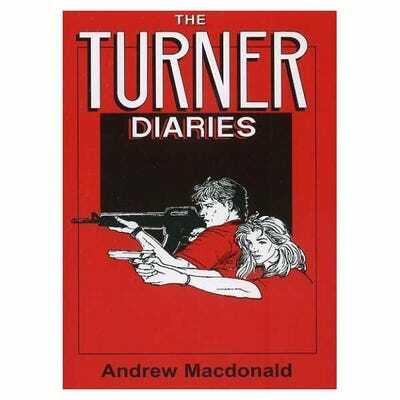 The Turner Diaries and founding the NA, Pierce also owned Resistance Records, the hate-rock record label that published music by skinhead bands. 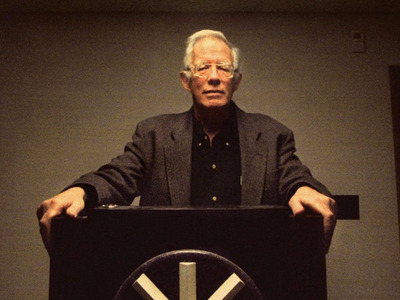 Pierce, a physics professor, founded the National Alliance (NA) in 1974 in West Virginia. He wrote The Turner Diaries in 1978. It has been described by the Southern Poverty Law Center as “the Bible of the racist right,” — for good reason. The protagonists in the book are members of The Organisation, a dissident cell who ethnically cleanse areas of the US, executing Jews and non-whites. Blacks are described as capturing and barbecuing white children. In one chapter, The Organisation rounds up anyone it can find who is a “race traitor” and hangs them all in the streets. Eventually, the group launches nuclear weapons against New York City and Israel, and the Aryan revolution that began in the US spreads to the rest of the world. SPLC CenterTurner Diaries author William Pierce, who wrote under the pseudonym Andrew MacDonald. Among other influences, it is infamous in the US for directly inspiring Oklahoma City bomber Timothy McVeigh to carry out his 1995 attack that killed 168 people. Authorities found McVeigh carrying pages from the book, which features a similar attack on the FBI’s headquarters. William Pierce followed up The Turner Diaries with a prequel called Hunter, about a sniper who targets interracial couples in the Washington, D.C. It was dedicated to serial killer Joseph Paul Franklin, who murdered at least 20 people between 1977 and 1980, deliberately targeting Jews and African-Americans and Jews in an attempt to start a race war. Though Pierce died in 2002, the NA still exists. Its website currently asserts that “We believe that no multi-racial society can be a truly healthy society,” and that “a healthy race in a healthy society” is its goal.